Despite multiple Congressional investigations already, and the still ongoing Mueller-led investigation into allegations of Russian meddling in the 2016 Election which is costing tens of millions of taxpayer dollars with nothing significant to show for it, Democrat Adam Schiff is urging voters to give Democrats the House so that yet more anti-Trump investigations can be launched on the taxpayer dime. 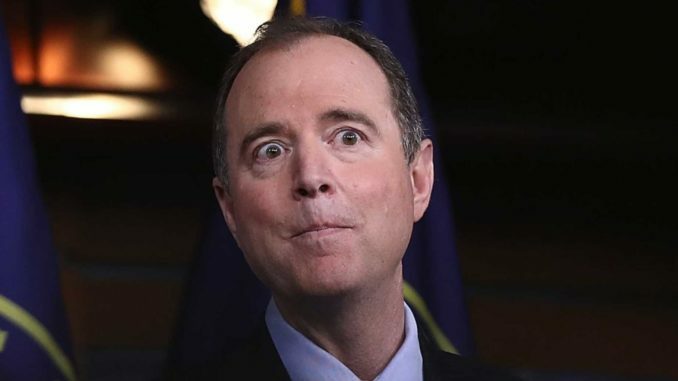 “The president has sought to keep that off limits, but if that’s the leverage Russians pose that’s a real threat to our country,” Schiff told The Times. Logic indicates that after nearly two years of multi-million dollar investigations that Congress, Mueller, and/or the anti-Trump media powers would have come up with something substantive. So, what does Congressman Schiff offer to an America benefitting from the Trump economic miracle happening now? To attack that miracle in favor of highly partisan, abusive, and ultimately destructive, politics.